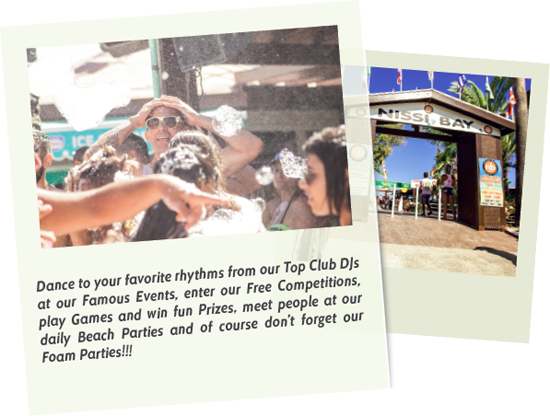 Located on the south-east coast of Cyprus, opposite the island at the world famous Nissi-Beach in Ayia Napa, Nissi Bay Beach Bar welcomes you to a small paradise, where we believe in partying all day long with the hot new sounds of our top DJs on the most ‘eventful’ beach in the Mediterranean sea! 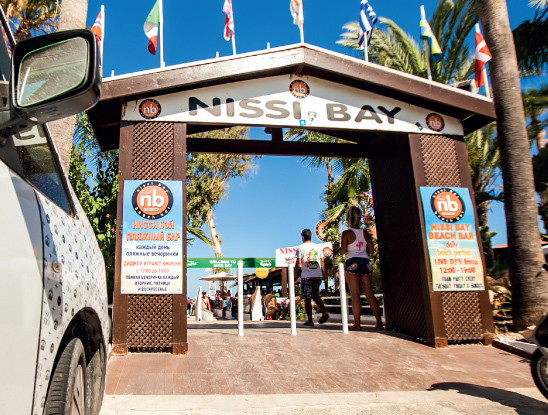 Nissi Bay Beach bay is the island’s most famous beach bar where you are guaranteed a memorable time! Especially renowned for our live DJ sets from some of the best DJs on the planet. Are you looking for wild fun all day long, dancing on a golden beach under the glorious daylight, swimming in blue crystal clear waters, drinking the most exotic cocktails and simply enjoying a paradise on earth? The Bar is open Mid-March to Mid-November.